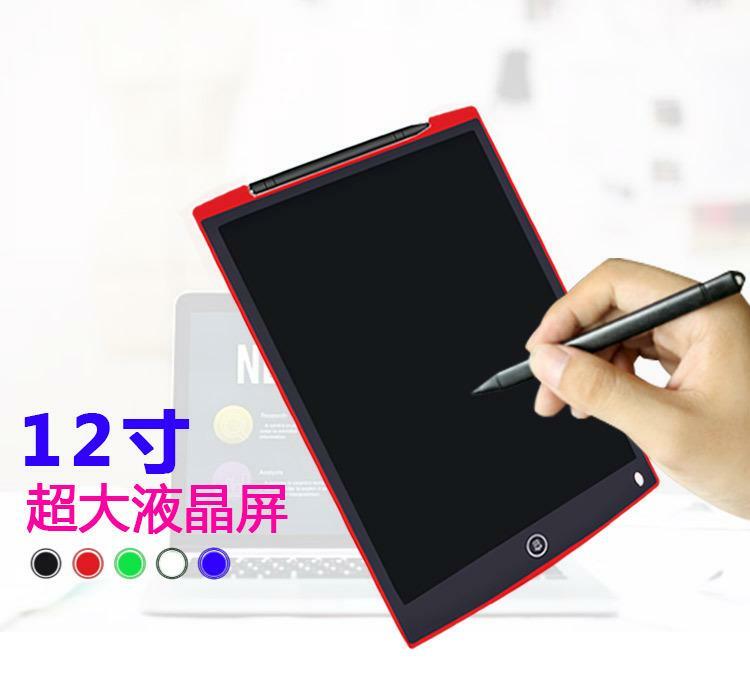 This 12 Inch LCD writing pad adopts optical energy theory, which opens up an innovative dust-free writing and drawing way, environmental friendly and harmless to eyes. 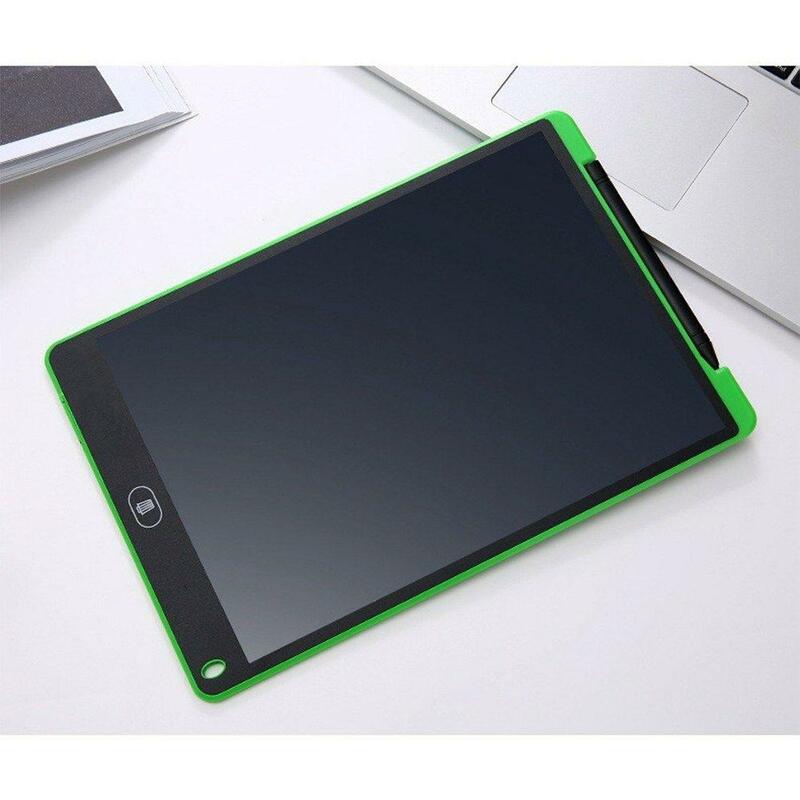 The pad is crafted with the safest and durable ABS and LCD panel, surface is easy to clean. It has been equipped with a stylus, which enables fluent drawing and writing. Ultra thin and lightweight design, great for your kids and for travel, business use. - ABS borders, thin and sturdy, flexible LCD panel, durable and strong. 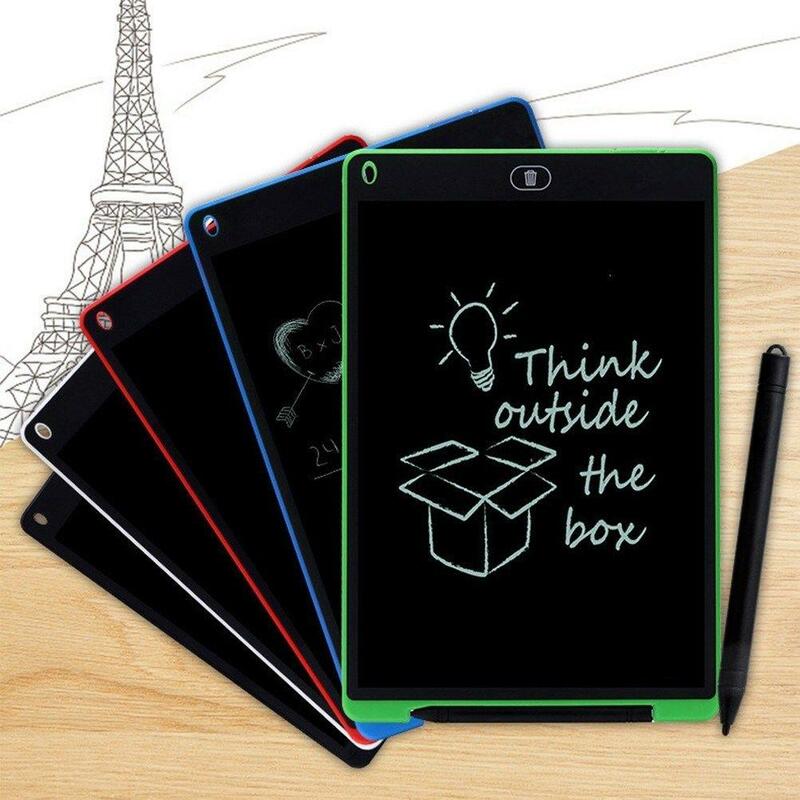 - LCD writing drawing tablet for kids. Replacement for the paper and pen, to writing and doodling for kids, a great way for kids' eyesight protection. - One delete button to erase. Touch the button on the top of the board to erase the image and words, then get a blank board to write and draw again. - Legible writing. 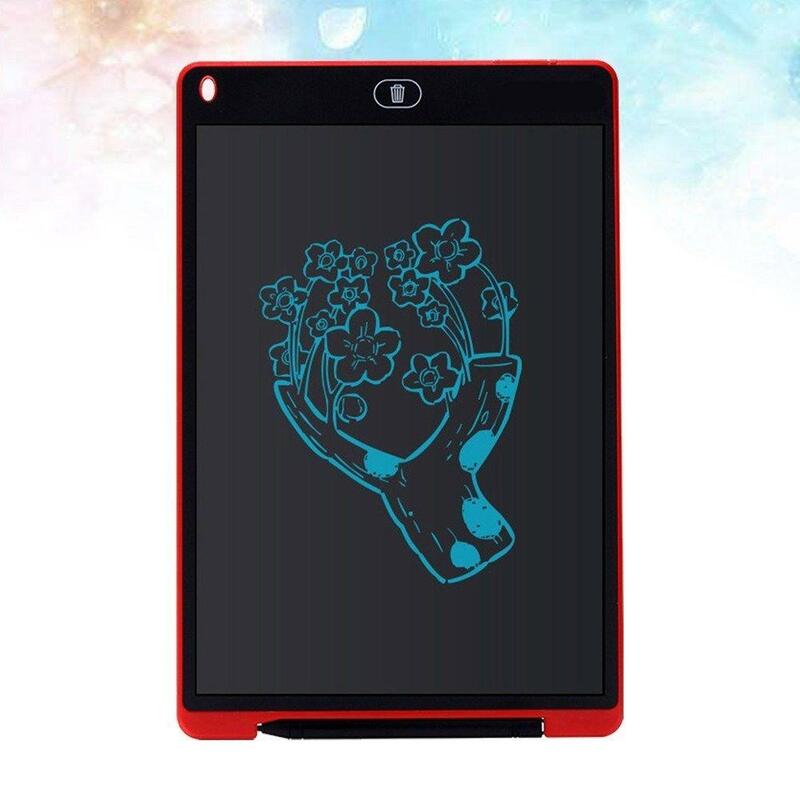 The LCD display panel can sense the pressure from the stylus to create fluent and clear drawing and writing. - Perfect for writing to-do lists, shopping lists, appointment reminders, short memos and leaving notes for friends and family. - Ultra thin and lightweight. Easy to carry around for travel, business use.